Walt’s friend, the artist Arthur Sordillo’s interpretation of a Harley-Davidson hot rod. He had handed Walt a cardboard cutout of the tank, with the words: “Build me a bike that goes with this.” He had picked a set of 1950 Panhead cases with papers for cheap and together they planned to build a bike around the small motor. 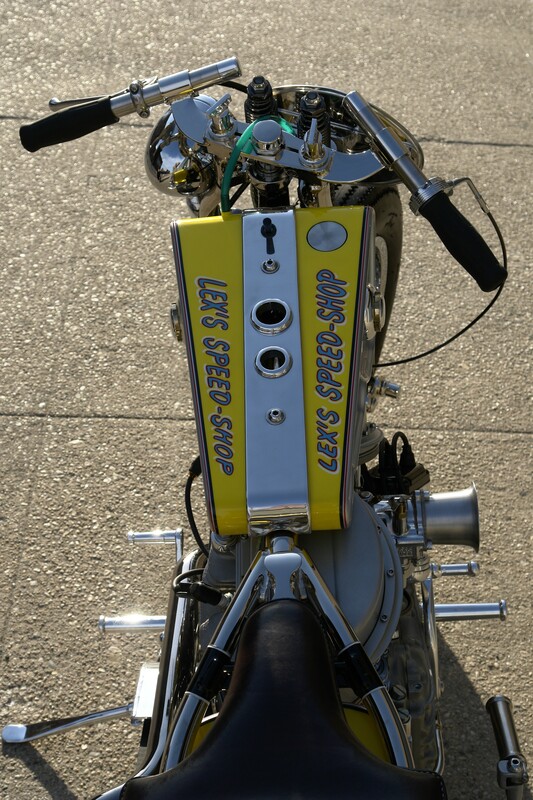 The original cases turned out to be cracked everywhere, so they opted for a small engine built by the guru Andrew Rosa.